This yoga practice is perfect for beginners but also nice for those looking for a slow and mindful back to basics class. Promote deep listening with the basics. Up your fitness practice and even your yoga workout by connecting or reconnecting to action and alignment. 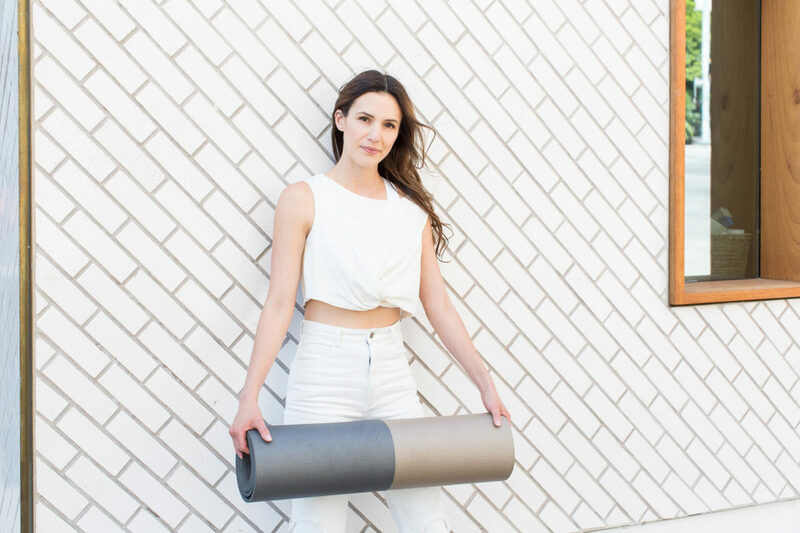 Get the most out of your time on your mat by connecting with your energy and awareness. Cultivate deep listening each time you show up on your mat. This practice is also great for yoga teachers or aspiring yoga teachers! Special thanks to my assistant on this one, thanks Benji! I also have this question. Do you respond to these questions? I love your yoga journey ! I have started my yoga journey again after a break of 4 years from regular classes. I would love it if you could make a video on weight loss with 61 Sun Salutations flows in an hour. This is something I used to do back home in India with my yoga teacher and it was super helpful. Since I moved to U.S. have lost touch. Love your voice and the way you teach and motivate , would Love it if you could make a video on continuous sun salutations. Hello, i’m following your videos from the far israel. and i really would like to ask you some questions. to what email, facebook, whatsapp?? This practice was exactly what I needed during stressful exam preparations, I feel so focused and energised! Thank you for sharing tips for yoga in your video, I love it and easy to understand for non-native english audience like me. What’s the ideal video to follow, as I’m a beginner to Yoga and followed the 40 minute home Yoga workout but saw there were other beginner videos as well. It’s much easier to unndrstaed when you put it that way! 2.how many time in a week should i follow each video? 3. Can i do these exercises during menstruation? Just watched your basic yoga video. Before I do it I have a question…I have a steel rod almost the full length of my spine, I had Scoliosis as a child. Should I do anything different in these poses you did? I have just recently discovered I also have spinal stenosis below the rod and I am in lots of pain. I am hoping that yoga will help with the pain. I have, today, started following your beginners videos. I have never done Yoga or meditation before, but I’m going through a very difficult time at the moment and I am hoping that Yoga will help. The main problem is I live with my Dad. He is very old fashioned English, and views anything like Yoga, meditation etc with scorn. So, I can only practise in my bedroom which is tiny tiny! Are there any routines which can be done in a very small space? I have about 8 feet by 3 feet to play with! Best wishes and many thanks from England. I wasn’t able to even start your yoga revolution challenge due to Carpal tunnel syndrome on my left hand. Now I have to keep my wrist immobilized and can’t do most of the moves you do until the earliest end of August. What can you recommend for me to do? Because I have back issues (I am a tall office worker :P) I have to do at least stretching every day, since I can’t include force exercises because of my wrist. Can you recommend some moves that can exclude putting my wrist to work for now? Thanks so much, hugs & kisses!! Thanks for this great yoga practice! I really enjoyed it! I’m getting some pain on my wrists, on the palm Is there anything I can do about it? This is amazingly, horrendously after everyone else’s comments, but… I’m not physically capable of doing, uh, lilly-bunda or downward dog. Trying to get into the first pose made both thighs cramp so bad I had to lie flat for a few minutes to straighten them, and my hands hurt too much to support me on dog (my arms would’ve been fine, if shaky, but trying to get into the position either really hurt the base of my palms or my fingers, depending on where I was trying to rest my weight). Do you have any advice? I am wondering if you have any suggestions for videos I can follow for regaining health and strength. I am recovering from a two week hospital stay that included several heart attacks. Do you have any thoughts? I have been following your videos since early February – TRUE, Revolution. I am quite sad that I have lost so much strength and energy. Thank you for whatever you can share. Anna, start slowly and gradually build your strength back up after your medical provider medically clears you to resume exercise. When you start back you might want to start with some of Adriene’s more gentle practices and beginner practices and work your way back to where you used to be from there. Wishing you all the best and a full recovery. I just finished my 5th day of beginners yoga. YAY. I am off work because of a shingles outbreak. This is caused by stress. I feel so good and this has helped me beyond words. Thank you Adrienne. Adrienne you were recommended by my PT, and I am so glad! You make Yoga easy and understandable. I can tell that you teach to the “back row”. I appreciate it very much! I do have a question, am I ever going to NOT feel like going to sleep afterward? Ha! Hi Cheryl, how wonderful that your PT recommended YWA! We’re so glad you are enjoying it! Some practices have a calming effect for sure, but there are plenty of others that offer an energizing effect. Happy exploring! This really is too hard for an absolute beginner – I’ve had to stop as I cannot hold these poses and look. Now looking for a real yoga for beginners video – this is not it.